FairLifts coordinates complete helicopter lift and charter services for companies in Knoxville, Tennessee. Our seasoned team of agents delivers timely helicopter charter solutions for construction, executive, medical and emergency transport, air crane support, freight and cargo transport. A personal concierge will walk you through the reservation process and provide any additional services you may need. A network of affiliates facilitates a host of helicopter lift solutions, such as surveying, pipeline placement, energy resource conveyance for the oil and gas industries, wildfire containment and extinguishing, heavy lift operations, and the transport of sensitive, confidential or heavy freights or materials. Knoxville, home of the University of Tennessee, whose sports teams draw massive crowds, is also the headquarters of the Tennessee Valley Authority and Fortune 500 companies, such as movie theater chain Regal Entertainment Group, Discovery, Inc., healthcare-staffing firm TeamHealth, Pilot Flying J, the nation's largest truck stop chain, The H. T. Hackney Company, the nation's fourth largest wholesale grocer, and Tombras Group, one of the nation's largest digital-centric advertising firms. Major firms located within the Knoxville Metropolitan area include Clayton Homes, Ruby Tuesday, DeRoyal and Weigel's. The city also hosts numerous art festivals, such as the Dogwood Arts Festival, the Rossini Festival, the Kuumba Festival, and Autumn on the Square. FairLifts collaborates with local companies to offer a variety of helicopter lift solutions, including executive and game day charters, surveying, sightseeing tours, construction lifts, and medical and emergency transport. 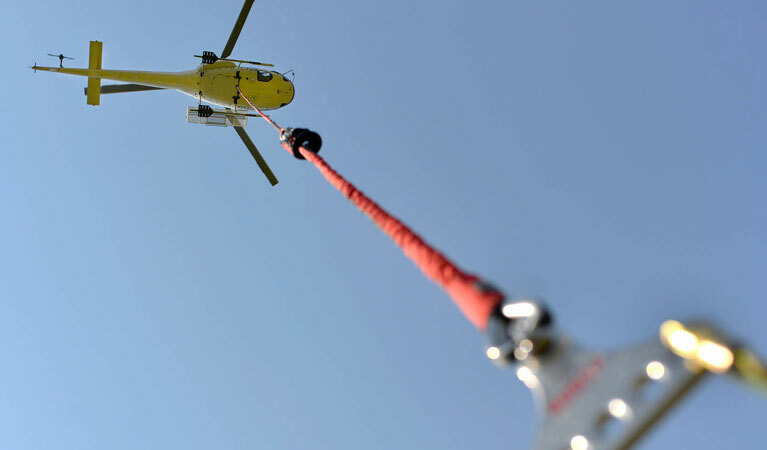 FairLifts works closely with a network of helicopter lift providers to facilitate construction, heavy lift, freight transport, and emergency and medical charter helicopters to a number of industries. Our network also includes an expert crew of FAA-certified pilots specialized in a variety of charter and lift assignments. FairLifts arranges construction helicopters in Knoxville to offer assistance with planning, building, demolition and cleanup projects on construction sites. Construction helicopters are specialized in beam placement, crew transport, concrete and machinery delivery, and emergency medical airlifts. FairLifts schedules heavy lift helicopter services in Knoxville to carry out large-scale lift projects. Heavy lift helicopters can transport building materials, machinery, logs, beams, power lines and other sizable objects when ground cranes prove insufficient. FairLifts coordinates freight/cargo helicopter services in Knoxville to deliver sensitive freight or cargo. Freight / cargo helicopters can lift and transport cargo to offshore rigs, ships, military stations or remote areas without runways. FairLifts ensures emergency helicopter lifts and agricultural services in Knoxville to provide emergency medical transport, as well as assistance on agricultural projects, such as water resource delivery, crop treatment, firefighting missions, and land and water surveys. FairLifts has an expert team of customer service agents available to meet all your helicopter lift and charter expectations. Call or complete the form below, and an agent will be in touch within 24 hours to assist you with all your service needs.